Becoming a full- or part-time caregiver to a loved one may have been something you saw coming years ago, or it may have been a sudden surprise. Whether or not you prepared yourself for the possibility that someone you love would need your care, caregiving can come with a whole lot of uncertainty. How will you keep track of your loved one’s appointments, medications, etc.? How do you protect your own emotional health? How much financial information do you need to know or have access to? While every caregiver and patient situation will be somewhat different, there are a few rules of thumb that can help make your time as a caregiver easier. Write down and organize your loved one’s medical information so that someone else could step in if need be. As dedicated as you might be to your loved one’s care, there are bound to be situations when you’re not able to be with them, and someone else needs to know their prescriptions, or doctor’s name. Think about the most important medical information that a caregiver to your loved one would need to know. A Medicare number, any diagnoses, prescriptions he or she takes with the dosage and timing, recent hospital stays – all of these things should be recorded in written form and placed together in a clearly labeled folder or binder. Ideally, you should do the same with your loved one’s financial information, like recurring bills and how to pay them, mortgage information, necessary payments for in-home health aides or other household helpers, etc. This process takes time – something most caregivers don’t have much of – so start with the essentials, and add to your folder over days or weeks. Don’t be afraid to ask questions and search out resources. Caregiving is a challenging role to find oneself in, especially when the loved one you’re caring for has a complex or serious medical condition. If you don’t feel confident and knowledgeable about your loved one’s particular condition, you can easily begin to feel the opposite: overwhelmed and helpless. If your loved one’s doctors or professional caregivers aren’t forthcoming with the information you need, ask questions. Be assertive. At first, you may be uncomfortable pressing a doctor or nurse for more details, but remind yourself that you’re simply seeking the knowledge you need to provide the best care possible. Do what you need to in order to find some balance and give yourself a break. No one can be an effective, compassionate caregiver if they neglect their own emotional needs. You may feel that taking time to care for yourself is an impossibility, especially if you also have your own family you’re raising, or full-time employment. It’s understandable to feel this way – but remember that without taking some “you time,” you could be putting yourself on the path to burnout, depression, or even your own physical health issues. Having a paid caregiver who’s available to come in on occasion, or another family member or friend who can help ease the burden is crucial to your emotional well-being. Once you’ve given yourself the chance to recharge, you’ll be able to return to your caregiving duties with renewed strength and compassion. Caregiving is a rewarding, but challenging role. If finances are becoming a source of stress, you may want to explore the possibility of a life settlement with your loved one’s financial advisor. 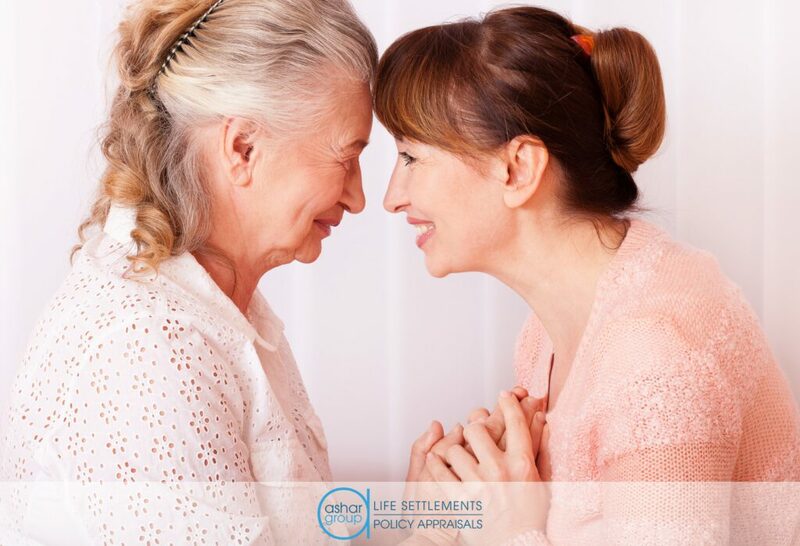 If your loved one has an unneeded life insurance policy, you may be able to work with the advisor and a licensed life settlement broker to sell it on the secondary market for more than its cash surrender value.